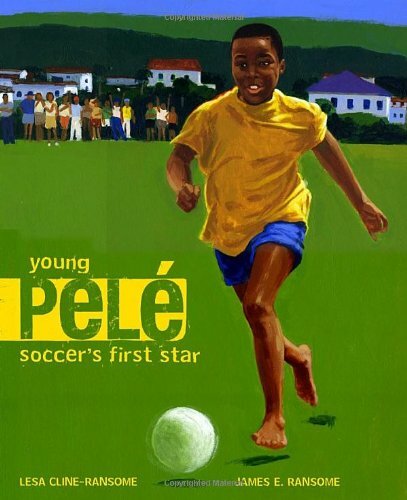 HomeBooks by AgeAges 4-8Soccer Books That Heal World Cup Fever! Mia Hamm, American soccer champion and best–selling author of Go for the Goal, tells a true–life–inspired story of learning that winning and losing aren’t as important as being part of a team. More than anyone, soccer superstar Mia Hamm knows the value of teamwork and perseverance. 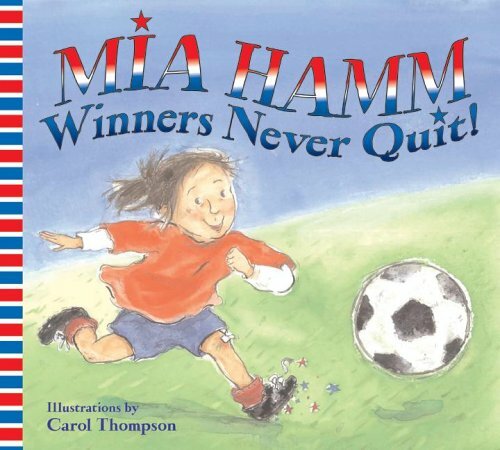 She shares this lesson, paired with energetic illustrations by Carol Thompson, in this motivational story perfect for soccer kids and their soccer moms! Erik goes to his first day of soccer practice and learns all about this exciting game. Photographs combine with lively illustrations and engaging, age- appropriate stories in DK Readers, a multilevel reading program guaranteed to capture children’s interest while developing their reading skills and general knowledge. A new soccer series! From Award-winning sports novelist Rich Wallace comes a series about soccer for younger readers. KICKERS debuts with BALL HOGS. The second book in the quartet, Fake Out, will release on August 10, 2010. 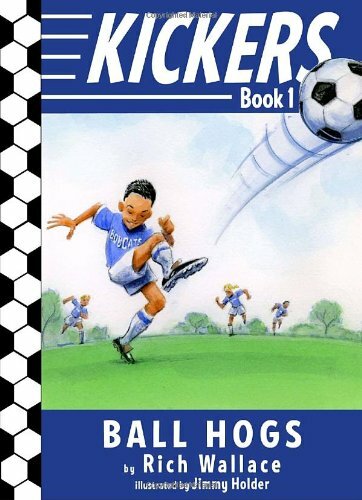 Each of the four Kickers novels will feature the same co-ed fourth grade soccer team, the Bobcats, and black and white interior illustrations by Jimmy Holder. 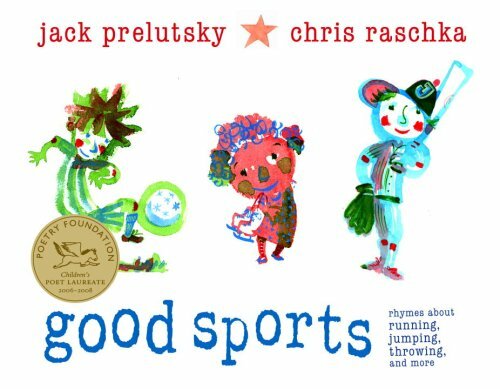 Exhilarating, all-new, kid-friendly rhymes capture the range of emotions, from winning to losing to the sheer joy of participating, that children experience as they discover the games of their choice. What happens when a star player ends up on the worst team? He either learns to lose or he stops playing the game he loves. These are the choices facing Jake, who has gone from champion to last place, testing his sportsmanship every time his soccer team gets waxed. It is his teammate Kevin who shows Jake that being a good captain means scoring and assisting off the field as much as being the star player on it. 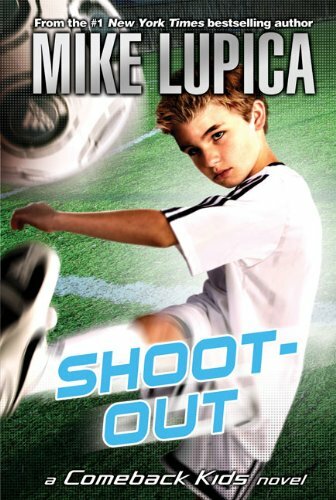 The latest in #1 bestseller Mike Lupica’s Comeback Kids novels is a cheer-worthy ode to the one sport played by more kids across the country than any other—in the summer of the next World Cup. Parker Stanhope has played soccer practically since she could walk. And now that she’s a high school junior, she’s a shoo-in for the varsity team. But that’s not what happens. Coach Hartley moved up every JV player but two—and now Parker is stuck with the freshmen. She has to get on the varsity team, and she has the perfect plan. All she needs now is the right kind of coach. Brett McCarthy lives for vocabulary words, soccer, and her larger-than-life grandmother, Nonna. Unfortunately, Brett’s got a big mouth she can’t seem to tame and opinions she can’t keep to herself. Soon her world has turned upside down, and she’s not sure where she fits, what she should do, or how to make right what she, and her big fat mouth, have made wrong. Brett’s fresh and funny voice will keep readers laughing out loud at her plights and groaning in sympathy at every misstep. For the more than seven million girls–from knobby-kneed tykes to high school and college stars–who are tearing across the country chasing a soccer ball and dreams of glory, there is one name that eclipses all others, male or female: Mia Hamm. With her cheetah-like acceleration and lightning bolt shot, Hamm has broken nearly every record in her sport, while galvanizing a whole new generation of fans and players. 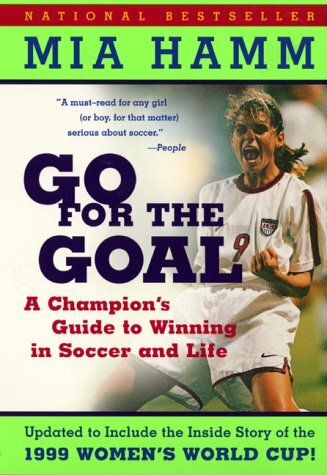 Go for the Goal is not only the inspiring story of how a tiny suburban sprite became a global terror with a ball (and the world) at her feet–it’s also a step-by-step or dribble-by-dribble guide for any kid with the all-American dream of making the team and becoming a champion. Filled with personal anecdotes and fully illustrated with both action and instructional photos, Go for the Goal shows readers exactly how to master the silky skills and techniques that have made Hamm and her teammates the finest women’s soccer team in the world. Leave us a comment: Which team do you go for (GO SOCCEROOS!)? 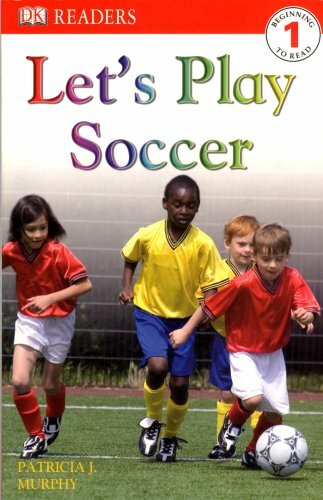 Do you have a favorite soccer book or good sportsmanship book? If the soccer fever persists, even after the end of the World Cup, I wanted to offer one more suggestion … my book is called “Breakaway,” and is for soccer lovers, particularly girls 9-12. I played my whole life so it’s definitely a book for soccer lovers, from one of their own. You can check out http://www.andreamontalbano.com if you are interested! Thanks so much for sharing, Andrea! How great to have a recommendation from Mike Lupica on your website.